The 34-year-old Jackson won the 2000 Juno Award for Best Contemporary Jazz Album, and was also named the 2000 Downbeat Critics Poll #1 Talent Deserving Wider Recognition for Piano and the 2000 Jazz Report Composer of the Year. After a series of highly regarded discs as leader and co-leader (including his recent Justin Time collaboration with World Saxophone baritone saxophonist Hamiet Bluiett and AACM original member Kahil ElZabar entitled The Calling), Jackson returns with the acoustic, mostly piano trio set entitled Sígame. 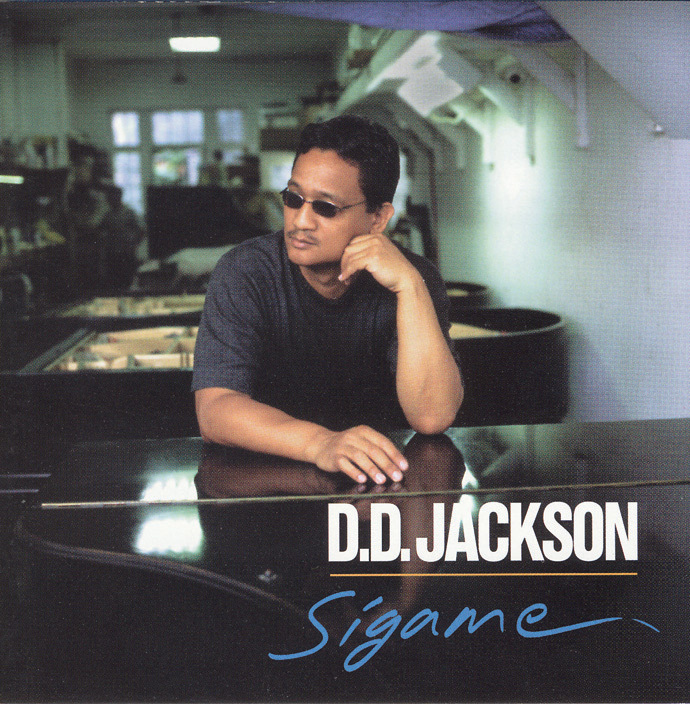 Sígame (meaning follow me in Spanish and pronounced SIG-a-may) features a more distinctly latin tinge than his previous work, and the melody, groove, and sense of adventure that have become trademarks of Jacksons style. He is joined on this album of all-original material by some of the most dynamic and diverse young musicians on the New York scene: longtime Jacky Terrasson and Leon Parker bassist Ugonna Okegwo; 26 year-old Cuban drumming/percussion sensation Dafnis Prieto; Latin/jazz/classical guitar master Freddie Bryant (three tracks); and lastly, the alternately elegant and explosive playing of violinist Christian Howes (two tracks).